If you are into crafts and/or Kirstie Allsopp maybe you will have heard that there is a big craft fair coming up in September in London called Handmade Fair, one of the main sponsors being Craft Asylum, one of the companies I work with. Please excuse the terrible photos, I only had my mobile and its passed its best! 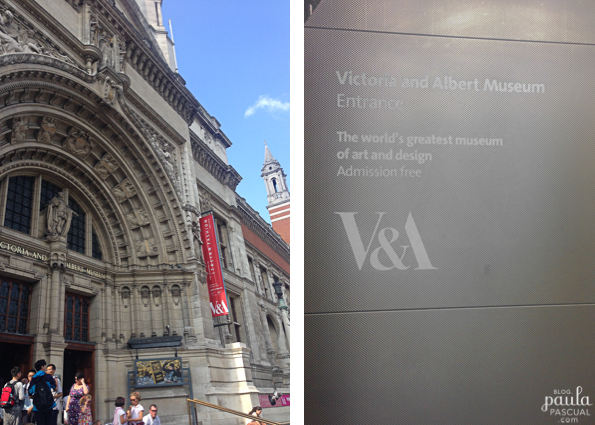 Through Pinterest, I got invited to one of the launch events at the V&A, the world's greatest museum of art and design. 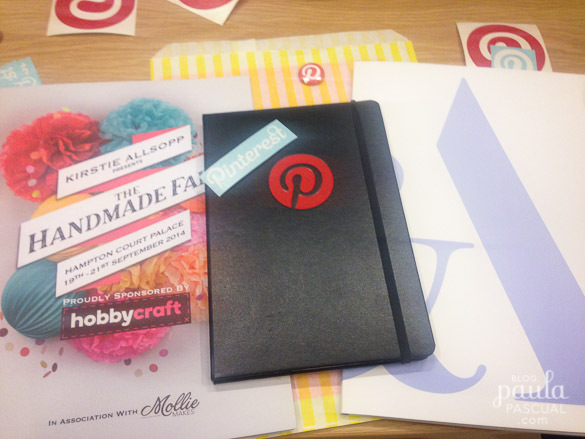 Hosted by Kirstie herself, it was a lovely afternoon with fellow crafters, bloggers and pinners. 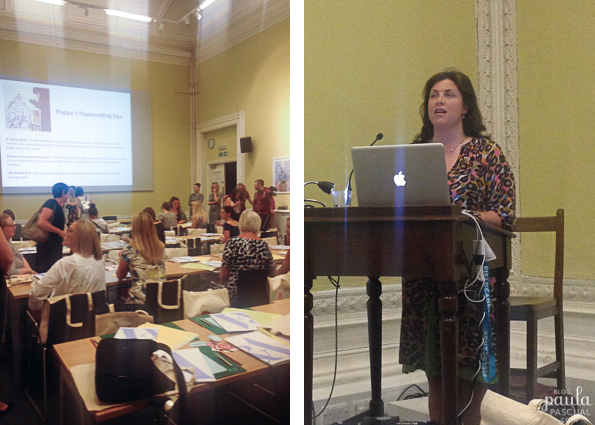 One of the highlights was the express workshop that Poppy Chancellor taught us. 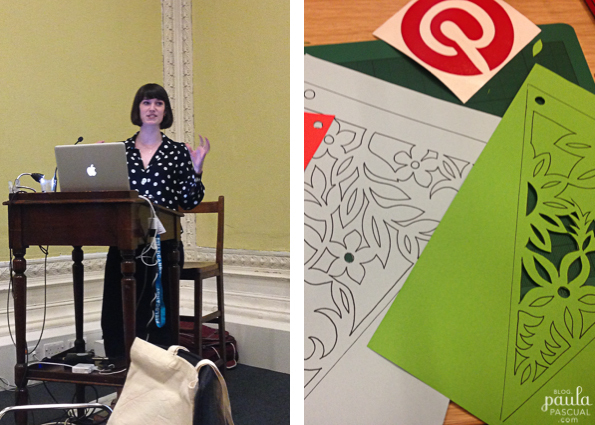 Poppy is a paper crafting extraordinaire and a lovely girl too. She provided templates designed by her for us to hand cut. Well, you know me I prefer die cutting to a scalpel. 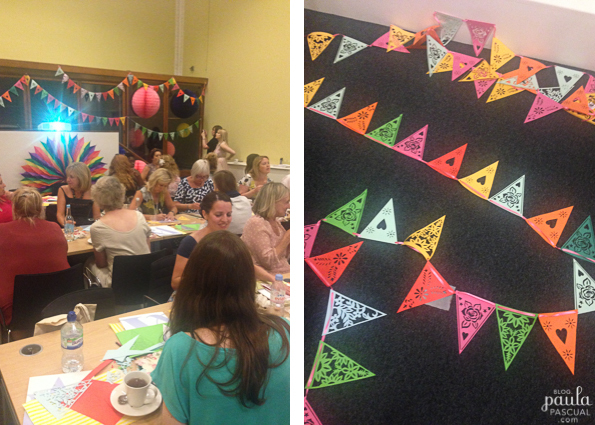 But it was lovely to do something that I don't do in my day to day with lovely people. I sat on Pinterest table which was quite special. 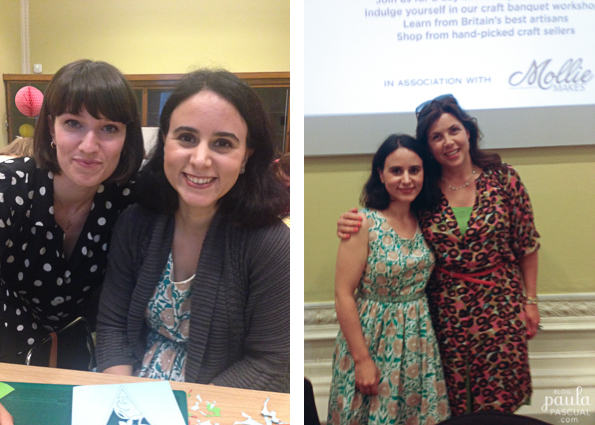 Meeting my fellow pinners was another highlight of the event. 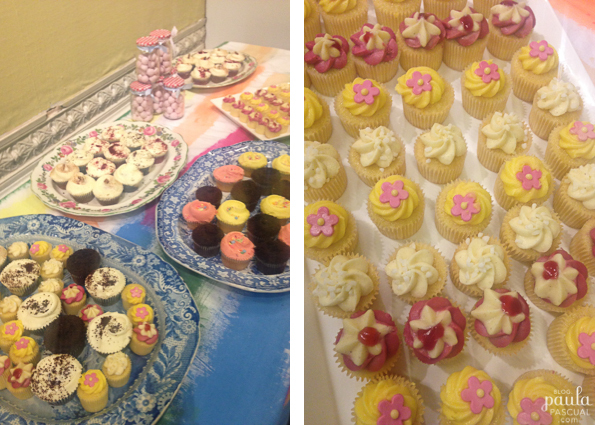 We also had some tea and cupcakes courtesy of Hummingbird Bakery. As a recently finished dieting person that I am, I really enjoyed mine. Mind you, I took off the frosting as I have never enjoyed it! Finally, we all were invited to attend the Wedding dress exhibition at the V&A, beautiful historical wedding dresses which, as a wedding nutcase as I am, I thoroughly enjoyed. Handmade Fair will be an event where people can relax and connect, being bound by doing things together with their hands. This is why it is very different from other craft fairs where you either buy the craft ware ready made or you buy the materials to make them. Handmade Fair will be unique in that will have both and, more importantly, places where crafting will happen there and then, a chance to try different things that you may or may not had a chance to do before. That is what crafting is all about. I always have thought that crafting is very positive for society, from a community point of view as well as an individual, and we (those who work on the crafting industry) need to help explain and support the positive aspects of it. I am really looking forward to Handmade Fair, 19th - 21st September Hampton Court!